The Champions trophy kicks off today in Britain where 6 of the worlds’ best will be competing to get their hands on the trophy in a round robin tournament, this will be the second last edition of the tournament as the FIH (International Hockey Federation) has decided to replace the format with a Global Hockey League in 2019. The inaugural match of the tournament is between the defending champions and world cup Gold medalist, Germany and India, who are being led by PR Sreejesh. Both teams are heading to the tournament in relatively good form and both having a realistic chance of claiming the prize at the end of the tournament. 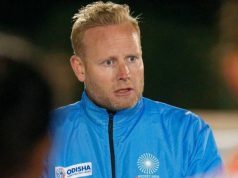 India have rested a few key players in view of the upcoming Olympics and it will be interesting to see whether PR Sreejesh can take over the mantle from the experienced Sardar Singh and take India deep into the competition. 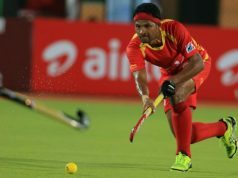 Besides Sardar Singh, a number of other players like Ramandeep Singh, Jasjit Singh Kular and Rupinder Pal Singh have also been rested in lieu of the upcoming Olympics. Despite the number of absentees the Indian team has a number of youngsters to look at such as Harjeeet and Harmanpreet Singh who will be looking to make an impression on the tournament. 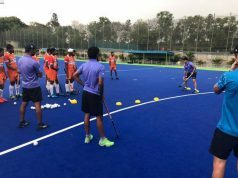 India will be looking to improve on its 3rd place finish way back in 1982 and will be looking to carry the momentum gained in the upcoming tournament as an ideal preparation for the Olympics. Vansh is a football fan who doesn't miss any football match. He's crunching some football stories for SportsCrunch.